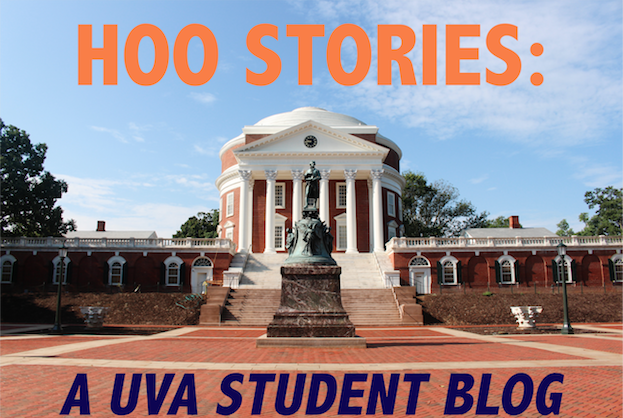 Thus, FYS is another way that UVa works to ensure that first-year students are able to take advantage of the many opportunities that it has to offer. 1. Go to a concert. They host symphonies, percussion ensembles, jazz groups, singing groups, visiting artists, and so much more! The tickets are many times free for students and the highest prices I've seen/paid has been $15 for really rare concerts but they rarely cost that much. The location is unbeatable: Old Cabell Hall! And the musical programs are a great opportunity to learn about famous composers. They are sometimes also accompanied by a one hour lecture on the artist, group, or instrument(s) hosted earlier in the week. Living in an age where almost everything is accessible on the Internet, we sometimes forget the joy of being in a concert hall and enjoying some Bach or Mendelssohn. Don't take this for granted because if you go to a concert hall in DC or Boston, you will pay upwards of $50 per person to hear the same piece. 2. Listen to a lecture. Yes, I know, you have class lectures. This is not what I am talking about. The real gem of a large university (or any university) is that they attract great speakers, from international diplomats to famous anthropologists to published authors. Unless you know these people personally, there is no place else where you can listen to them live, for free, and with time to ask questions. Have you met the ambassador from Bangladesh? What about the prime minister of Norway? Any famous, published authors? Well, neither have I, not until I heard of them coming to UVa to describe their work and decided to attend their lecture in the Rotunda Dome Room. Don't miss your chance to be in the company of some great men and women! 3. Watch a movie. Do you remember when movie tickets cost $3? Neither do I. The lowest price I remember is $5 for a child. Now, if you go to Newcomb, you can catch some of the newest releases for $3! Sure, you can get it from the RedBox at Harris Teeter for $1 in 6 months but do you really want to wait that long? And hear people talking about it? And, God forbid, have someone spoil the ending for you? There you go, right into the Newcomb basement where a full-size auditorium awaits your presense. 4. Take a walk. Yes, you've been to the Rotunda. And the Lawn. Good job! You're a regular tourist now. Here's a question: have you been in the small garden in the medical complex? What about the grassy spot behind that strange looking arch across Emmet St from Newcomb? And where's that elusive Aschool, again? Unless you take the time to explore the Grounds, you won't know how much space there is and how many cool little corners there are. Enjoy your life here! It's not just about classes. It's also about seeing things, learning of new places, exploring the land. Awaken that spirit inside and discover something new for yourself! That's all for now. Go find some things to do for yourself that you enjoy, even if no one else wants to join you on your endeavor to see more of the place you call home for four years.